Welcome to Model Buildingwise a quality architectural modelling service to meet the requirements of a wide range of model environments from initial concept and research through to finished product. The decision to establish Model Buildingwise has grown out of a keen interest in industrial history and the completion of a number of projects for fellow members of the Gauge 0 Guild of railway modellers. 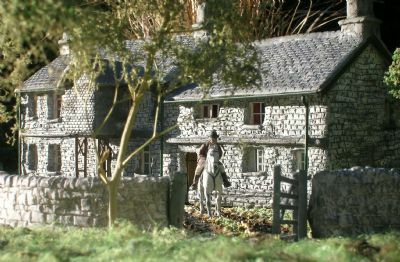 Please look at the gallery which display some of the scratch built model buildings and landscape features already completed. The range of work I can offer is outlined in the service section of my web site. I would be delighted to provide any further information, together with an estimate on the cost of any commission.